Driven to Write examines the JLR success story. Jaguar Land Rover’s commercial renaissance over the past five years has prompted a deluge of scepticism in some quarters, because on the surface of things at least, its rapid turnaround has stretched belief. When the Ford Motor Company sold the Jaguar and Land Rover brands to Indian industrial giant, Tata Group for £1.2bn in 2008, both businesses were loss makers – Jaguar in characteristically epic fashion. By then the Coventry marque could not have been given away, such were the levels of debt accrued following the commercial failure of their Ford-financed range of cars. In fact, the sale of Land Rover became a necessary sweetener to an offer that failed to attract the usual round of well-heeled suitors. 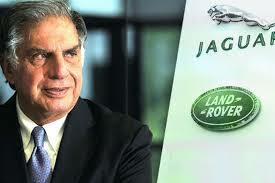 Certainly, few believed Ratan Tata had the know-how or sensitivity to steer two of the most revered, but seriously under-performing brands in the automotive firmament through such troubled times. Add in the fact that the sale occurred on the cusp of financial meltdown, and anyone giving Tata decent odds would have been certified and whisked to Shady Pines without so much as a toothbrush for company. Many observers couldn’t see beyond their xenophobic noses, stridently predicting all manner of calamities. Indeed, it was touch and go for a time; JLR posting a £376m loss in 2008*. In early 2009 it was forced to ask the UK government for financial aid; a request Gordon Brown’s cabinet rejected. 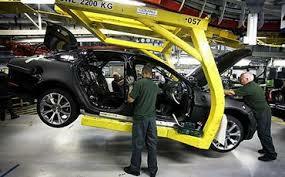 Such was the severity of the situation; plans were made to close one of JLR’s three UK plants. Instead however, Tata chose to invest, pumping £billions into the business and pushing aggressively into emerging markets. The results have been spectacular and for the financial year ending March 2014, JLR reported full-year pre-tax profits of £2.5 billion and revenue of £19.4 billion on sales of 434,311 vehicles. This shows a gain of 18.8% year-on-year, and more than double their sales figures in 2009**. That the worst has so far at least, failed to materialise has not stopped the smoke and mirrors brigade stridently maintaining JLR remain inches from the inevitable precipice. Corporate hegemonies are always targets for challenger brands and with JLR’s rising sales giving board members in Munich, Stuttgart-Unterturkheim and Ingolstadt serious pause, it is timely to look at the potential challenges facing them to see whether Tata’s ownership can leverage the current success story and emerge a bigger, more sustainable and viable business that can stand chest to chest against the combined might of the German big three. Despite its current profitability, JLR could not afford to stand on its own. It relies upon Tata for funding, investment and security. However, as its domestic Indian auto business continues to contract, Tata is in turn increasingly dependent upon its British subsidiary to prop up its lacklustre balance sheet. According to Forbes, the JLR division now forms more than 95% of Tata Motor’s valuation; hardly an ideal situation for the domestic automotive division. The low-cost Tata Nano has proven to be a sales disaster and its larger brethren also appear to be struggling. JLR can assist in co-developing more attractive models for the Indian market in the medium term, but should the situation continue to deteriorate, they’d be into uncharted waters. What options would then lie open to them remain unclear but certainly, it remains in JLR’s interests that Tata Motors’ fortunes improve dramatically in the short term. By comparison to their German premium rivals, JLR remain minnows in the global automotive firmament. As the costs associated with developing car platforms continues to shoot skywards, JLR need to be capable of producing more variations of more cars than they currently do in order to adequately compete with their rivals. JLR lack the vast resources of their rivals, and as a challenger brand, need to change direction rapidly and take risks. Bringing niche models like the Evoque speedily and successfully to market is vital, especially when rivals can take years to catch up. With their current volumes, JLR as a business is far from real viability; however their relative lack of size gives them a element of agility denied their rivals. Ultimately however, serious growth needs to be found and for this to prove resilient, it has to be sustainable. JLR’s model mix remains rooted in the upper reaches of the market. The necessity to produce smaller, less expensive models is growing and with increasingly stringent EC and US emission and economy regulations; smaller, more efficient models will have to become a priority. The challenge is to go downmarket without diminishing the cachet of their brands. They may even find it necessary to forge alliances with other manufacturers, as Mercedes-Benz and BMW are currently doing. Platform and technology sharing with Tata could deliver this had the domestic offerings been sophisticated and efficient enough. However, this option is not currently open to them – another reason why a healthy and successful Tata Motors must be a priority, as alliances with outside companies often have an awkward habit of unravelling. In the next part, we’ll look at the Ford factor, and issues facing Land Rover’s prospects. Based on the cars that they used to make there was some initial justification for wondering if JLR was safe in the hands of Tata, but I think that was quickly dispelled. The reservations that remained came from those in the Old and New Worlds who seemed to think that only they understood car manufacturing. Eoin correctly describes them as xenophobic and their attitude would be more unpleasant were it not for the knowledge that it is those to whom the sneering is aimed who will get the last laugh. Yes, JLR have a lot of work to do to maintain and increase their foothold but, even if some of their products haven’t been to my personal taste, none of them has any cause to give anyone at JLR embarrassment.